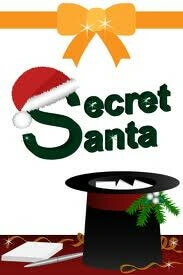 Liven up your school, office, neighborhood or even family Christmas party with a traditional “Secret Santa” game. If you are hosting, begin by getting the participants to agree on the price range, typically $10 – $20. Be considerate to those on a tight budget and do not encourage anything too expensive. Next, ask the group to agree on a theme for the types of gifts to be anonymously exchanged. For instance, you may want to limit the gift giving to toys only or to food only. Be playful and creative and suggest a theme that is out of the ordinary. Suggest themes like “anything green” or “something nerdy” or “for bedroom use only.” Remember that what you want is for everyone to have a good time. The usual version of the “Secret Santa” game is one where participants are asked to write each of their names on a small strip of paper a few days before the school, office or neighborhood Christmas party. 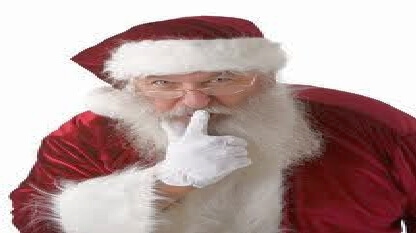 Another popular version of the “Secret Santa” game is called the “Thieving Secret Santa” or “Yankee Swap” or “White Elephant Gift Exchange.” Here everyone who participates brings an anonymously gift-wrapped present to the party, subject to the agreed price range and gift theme idea. All the presents are then placed together on a table at the center of the room. Strips of paper with numbers corresponding to how many are participating in the gift exchange are placed in a box or hat. Each participant is asked to draw a number from the lot. After everyone is through, the person who drew No. 1 gets to pick the first present from the pile. He or she must open the present so all those playing can see what it is. Next, the person who drew No. 2 may either “steal” the present from No. 1 or pick a n unopened gift from the pile. If No. 2 “steals”, then No. 1 gets to choose another present from the pile. Then, when it is No. 3’s turn, he or she may choose to “steal” either of the two opened presents, or try his or her luck with an unopened present. The process is repeated until everyone has had his or her turn to “steal” pick a gift from the pile. The game can be very exciting when when one gift is coveted by several people. The gift may be swapped several times, unless you agree to set a limit on the number of times a gift may be “stolen.” For instance, if the limit is three times, than the third person to possess the coveted present gets to keep it. Once everybody playing the game has opened a present, play turns back to lucky No. 1, who may choose either to keep the present he or she currently possess or “steal” one from all of the opened presents.